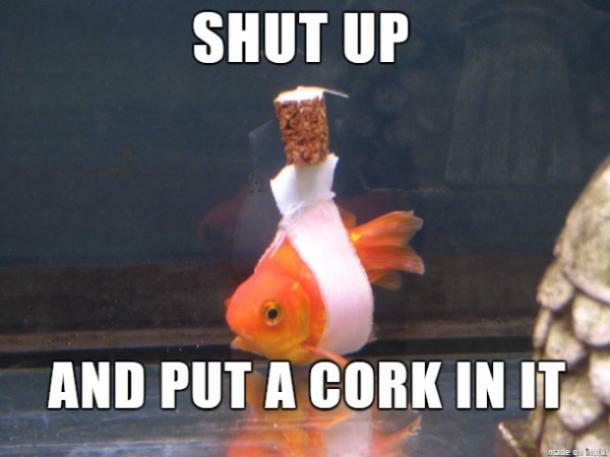 When it comes to pets, fish totally get the short end of the stick. People always talk about cats and dogs because you can snuggle and play with them. Most people also aren't very well-equipped for owning a fish, so the pet dies rather quickly. But this owner is very different. A Reddit user went online to show off his/her fish owner's awesomeness. A goldfish was having trouble staying upright, probably from having too much to eat. Instead of waiting around to see if the situation would correct itself, the person used a cork, string, and what looks like gauze to keep the little one upright. How did this person get the poor fish to be still to get this done is beyond us. Of course, with every good pet picture, the memes will surely follow. Well, it's always reassuring to know there are good fish owners out there.